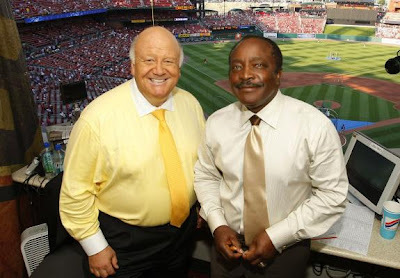 As reported by ESPN last night, Joe Morgan will not be returning to ESPN’s Sunday Night Baseball. Of course, the blogsphere has already blown up with a resounding “good riddance.” Before getting into my own reflections, I point you attention to a great posting by NBC’s Craig Calcaterra that really put things in perspective. Calcattera certainly does not disagree with the criticism of Morgan - particularly the issue of being unprepared for games. He points to two interesting points: (1) Morgan’s performance, while less than stellar, did not overly detract from the game. That is, he did not over-analyze and his commentary could easily be ignored and rejected. (2) Morgan often rejected the importance of the very same statistics that demonstrated he was an excellent player. Check it out. I certainly agree with Calcattera to a point. While I agree his flawed commentary could often be ignored, it was like getting punched in the stomach when you heard it. I swear, every Sunday Night game I watched, I would feel the need to call someone and yell, “He could not watch one other game this week! ?” Occasionally, Morgan would allude to being at the ballpark on Saturday and catching the previous game but even that was far from a sure thing. My major gripe with him was that he would re-state these misconceptions that fans of the game knew to be false. There are few things more insulting than Morgan saying something like, “You know Derek Jeter is always so clutch, I think he gets a hit here.” When you, the fan, who had watched, Jeter go 0 for his last 8 with runners in scoring position over the last week, just want to cover your eyes and ears with your Mariano Duncan “we play today, we win today” shirt. The point is that the watching public wants more from commentators than what they hear from that guy at the water cooler who watches five minutes of SportsCenter while on the elliptical. Morgan had one game to prepare for every week, which gave him the potential to provide his viewers with insightful commentary that, at the very least, was rooted in recent events. This is compounded by the fact that ESPN Sunday Night Baseball is no ordinary telecast. It is the only nation-wide, exclusive telecast each week. That means fans are deprived of their regular hometown announcers who clearly have more experience and knowledge about the day-to-day performance of a team. Morgan need to at least attempt to match that. It seems ESPN finally made the right call. Many blogs, especially the late great Fire Joe Morgan, reported that ESPN employees were insulted by Morgan’s lack of preparation for games, but of course, I have no basis beyond these unknown sources to believe that. Still, that fact should not matter. ESPN is a national network that should command the highest quality from their on-the-air personalities. This should be especially true for its primetime, national broadcast of its game of the week. We are not going to belabor the point here. All the criticisms of Joe Morgan are well-known, and it seems to have taken ESPN a little too long to make the move. But, it has been made. Hopefully, ESPN will continue to use John Miller and Orel Hershiser who I think are well-suited for their national telecast.